A paper and packaging company that is complemented by a North American merchant distribution system, with primary markets and manufacturing operations in the United States, Europe, South America and Asia. The Fool has written over 200 articles on International Paper. The paper company recovered after an awful December and then proved Wall Street wrong with full-year 2018 operating results. IP earnings call for the period ending December 31, 2018. The paper business was on fire last quarter. A fertilizer producer turning things around, America's leading aluminum company, and a paper manufacturer look too good to pass up right now. A low-cost cardboard manufacturer down on its luck, the newest fertilizer stock, and an energy leader are all worth a closer look this month. Does This Blue Chip-Dividend Stock Have a Cash Flow Problem? 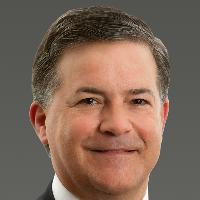 International Paper has averaged $1.9 billion in free cash flow in the last five years (sort of). International Paper is quietly crushing it -- and paying you a 3.2% yield to join in the fun. Industry, sector and description for International Paper.